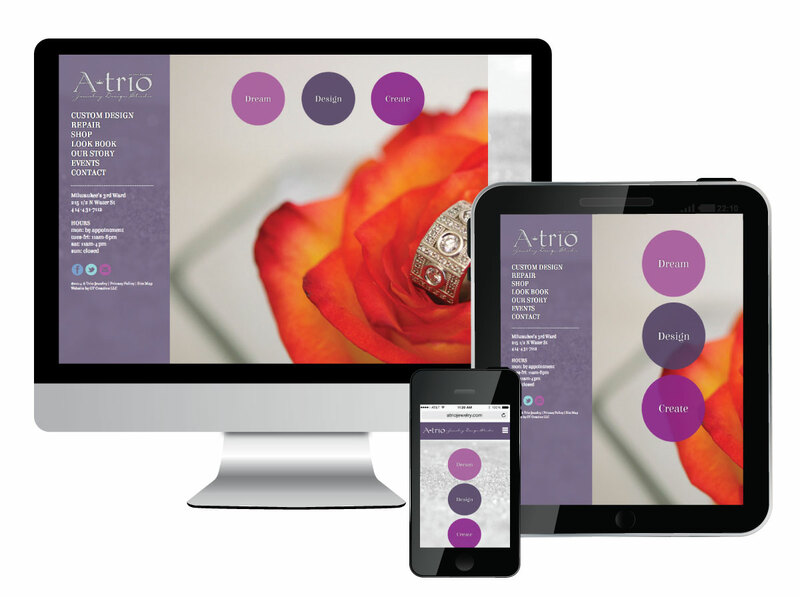 After several years with a website they loved, it was time for a new website they loved even more. This is the second website we created for A Trio which was built with a lighter look and to be responsive (to work on any device of any size). Although they are known for their custom design jewelry they also wanted to include a shopping cart that sells handmade, predesigned jewelry items. 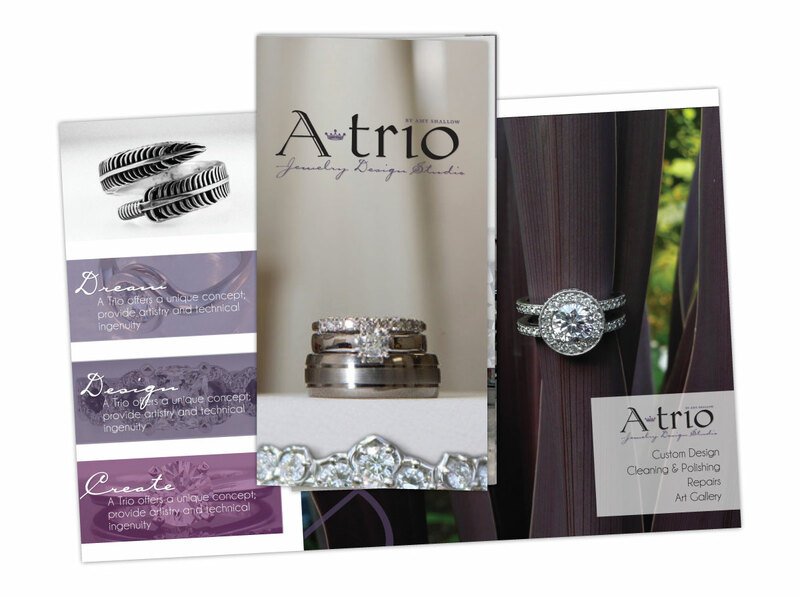 With a love for purple and a crown as inspiration the A Trio Jewelry Design Studio logo was created by GT. 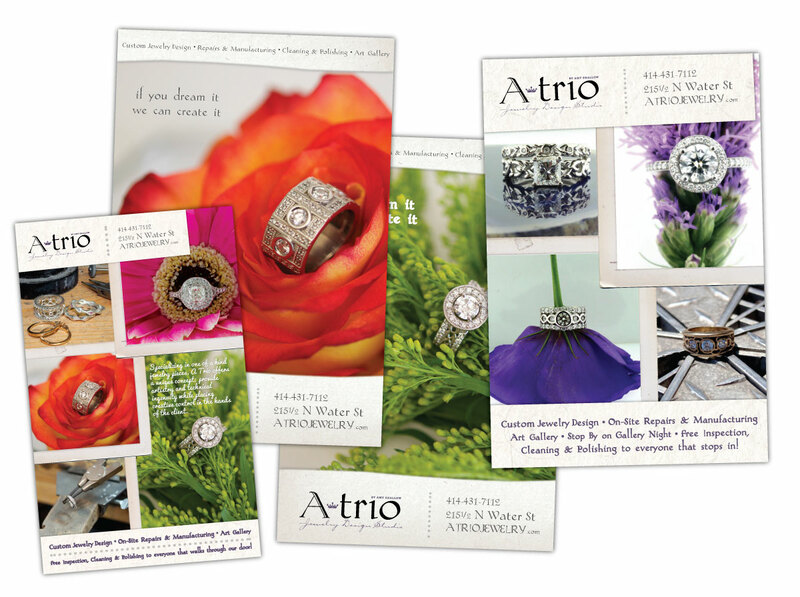 In need of a leave behind for clients, a mini tri-fold brochure was created to showcases large images of their custom designs and design process. With one of a kind jewelry that speaks for itself, A Trio photographs most of their jewelry within nature and they make for stunning ads laid out by GT. 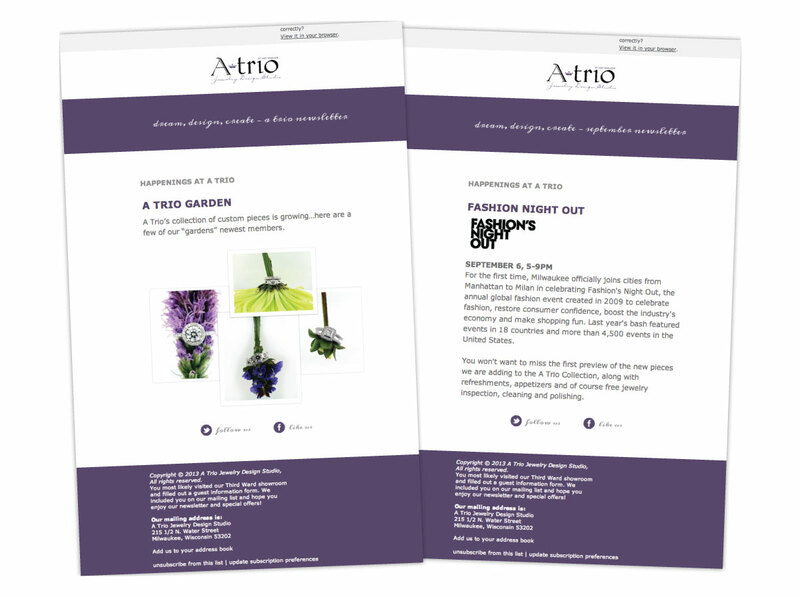 GT created a simple and easy to update template for A Trio to use when sending out eblasts to all of their email list.